Shooting jackets made to order by our skilled shooting jacket makers, adding an air of confidence to that shooting shot! Made from the world famous Harris Tweed. Call us on 020 7837 1452 and a Henry Herbert Savile Row Tailor will be happy to discuss your needs for a tailor made shooting jacket, made to order. Shooting Jackets Made to Order - Tailor made, Savile Row. 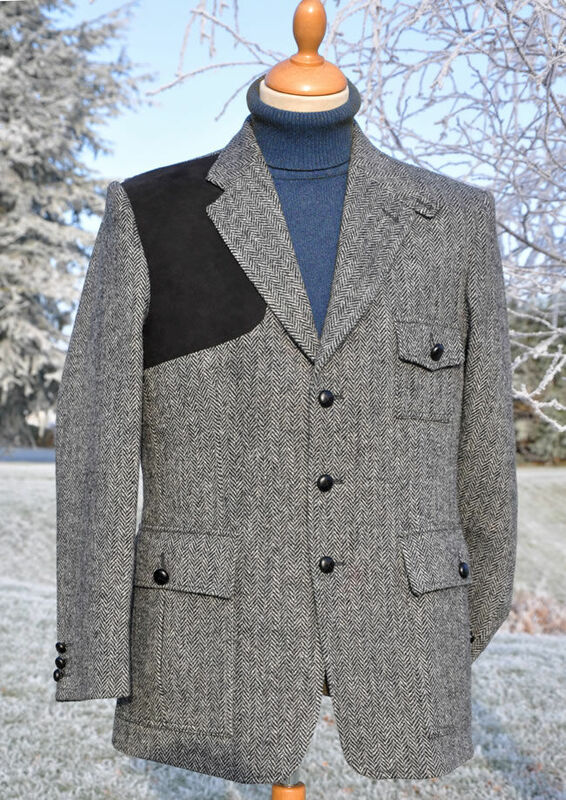 Shooting jackets made to order by our skilled shooting jacket makers, add an air of confidence to that shooting shot! Call us on 020 7837 1452 and a Henry Herbert Savile Row Tailor will be happy to discuss your needs for a tailor made shooting jacket, made to order.